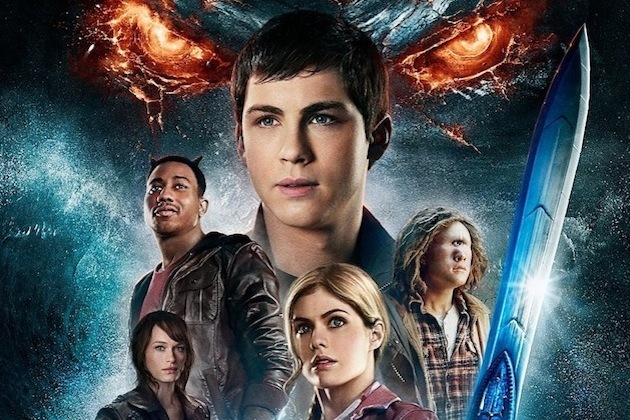 Kim L. Takes on ‘Percy Jackson: Sea of Monsters’!!! I was pleasantly surprised at how good this sequel was. I really enjoyed the fact that they gave a little more back story and expanded on the characters history as well. I saw this screening in 3D and I am not a fan. It was fuzzy at times and really only the very beginning and a few scenes even called for 3D, so in my opinion if you have the option to see ‘Percy Jackson: Sea of Monsters‘ in 2D, do that. One story line problem I discovered from the first film and this one was that in the first one Percy was in high school and Sea of Monsters is supposed to be taking place 7 years later, well they discuss how certain events would happen when he turns 20 but if the timeline was correct he would be older than 20. But I did really enjoy all the action in the film right from the very beginning. We see Percy trying to keep his “hero” status from saving the world but he is really just trying to figure out whom he really is and if he matters. I like how they did keep some of the same actors from the first film but added a few fan favorites like Stanley Tucci and Nathan Fillion who plays Hermes. I love both of them and I think they are great additions to this franchise. So in this film the barrier that keeps the camp safe is in danger and the only chance to save the camp is to find the Golden Fleece and bring it back. They are again up against Luke who wants to take over the world. They have mythical creatures to fight and a few scenes are corny but overall this was a likeable film. If you enjoyed ‘Percy Jackson & the Olympians: The Lightning Thief‘ then I think you will enjoy this one too. This entry was posted on Thursday, August 8th, 2013 at 12:14 pm	and is filed under Film, News. You can follow any responses to this entry through the RSS 2.0 feed. You can skip to the end and leave a response. Pinging is currently not allowed. « Kim L. Takes A Trip With ‘We’re The Millers’! !